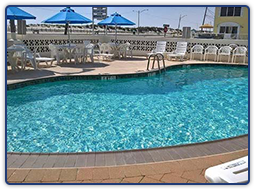 Luna Mar Motel offers free beach access, a heated pool, and seemingly endless entertainment and dining options. 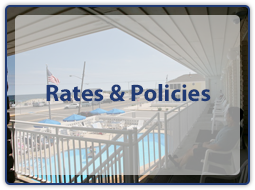 Allow us to treat you right with our affordable motel in Jersey Shore. 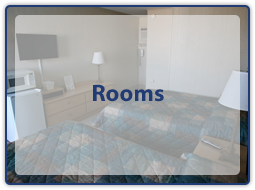 Whether you are seeking efficiency units or cozy ocean front rooms, we have several options for you and your party. 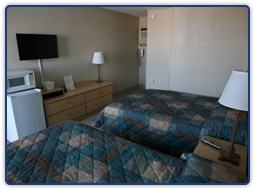 Our ocean view motel includes full kitchens and upgraded décor..
With flexible pricing during the off-season, and affordable pricing during the summer tourist season, we are your choice for a festive getaway. Utilize a beach badge for exclusive access to Seaside Park. Email us through our contact form about special weeks in July. 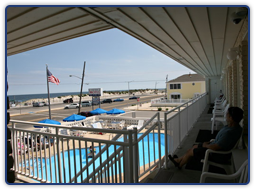 Here at Luna Mar Motel of Seaside Park, New Jersey, you will always be a cherished and welcomed guest in our family-owned oceanfront hotel. With a newly renovated heated swimming pool, morning coffee and bagels, and close proximity to area attractions, we have all the amenities to be your vacation lodging choice. 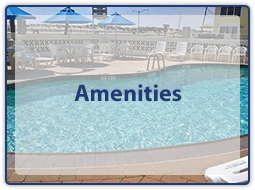 We strive to offer a comfortable, relaxing, and convenient environment that can be your launching point for a day of adventure on the Jersey Shore, and a festive and clean place to rest when the day concludes. Our convenient location places us directly across Ocean Avenue from Seaside Park Beach and a short five-block walk to the world-famous boardwalk. Just a 1.5-hour drive from New York City, Philadelphia, and other areas of New Jersey, we can be your go-to getaway for long weekends and summer vacation trips. We are also just a short distance from the nearby towns of South Seaside, Seaside Heights, Ortley Beach, Lavallette, Toms River, Brick, and Island Beach State Park. From a family trip to a romantic getaway or college reunion, we will provide you with a comfortable, family-friendly environment with endless amenities. No matter the occasion, it will be an experience to remember when you stay with us. We have been a popular destination for families and couples and we have a achieved a 4.5-star rating on Trip Advisor™. We are a member of the New Jersey Lodging Association.